Minimal personal One Pager for designer Angelo Maximiano. Nice little touch with the main canvas area changing when hovering over links. Designer at Salinha and founder of Facctory, a collaborative design platform. I believe in hard work and technology. 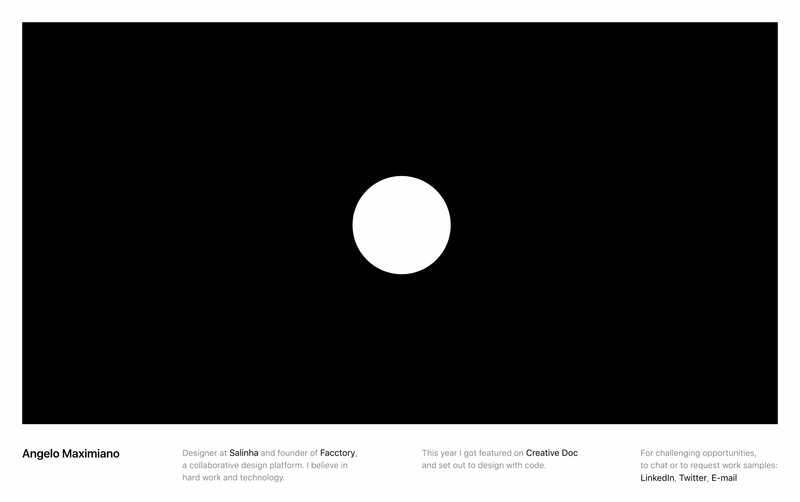 This year I got featured on Creative Doc and set out to design with code.